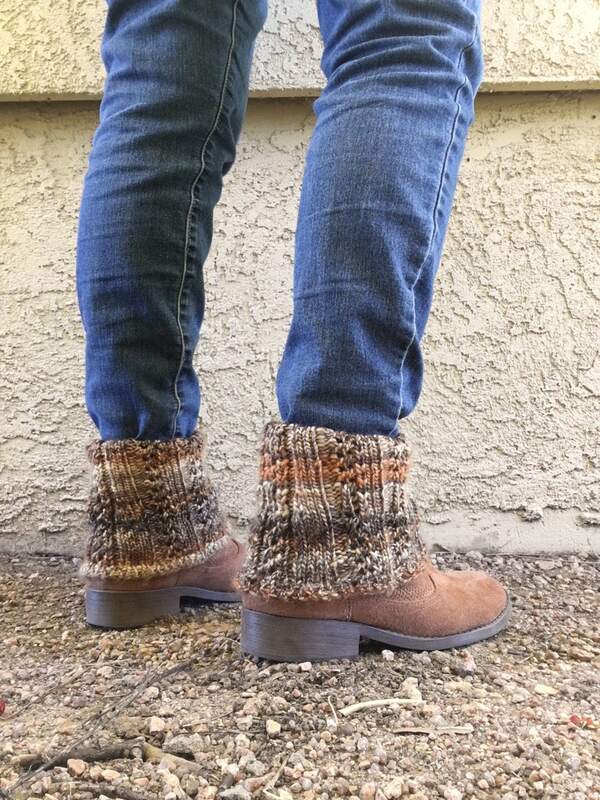 Make some cute ankle boot cuffs to wear with your favorite skinny jeans and bulky sweater this winter. 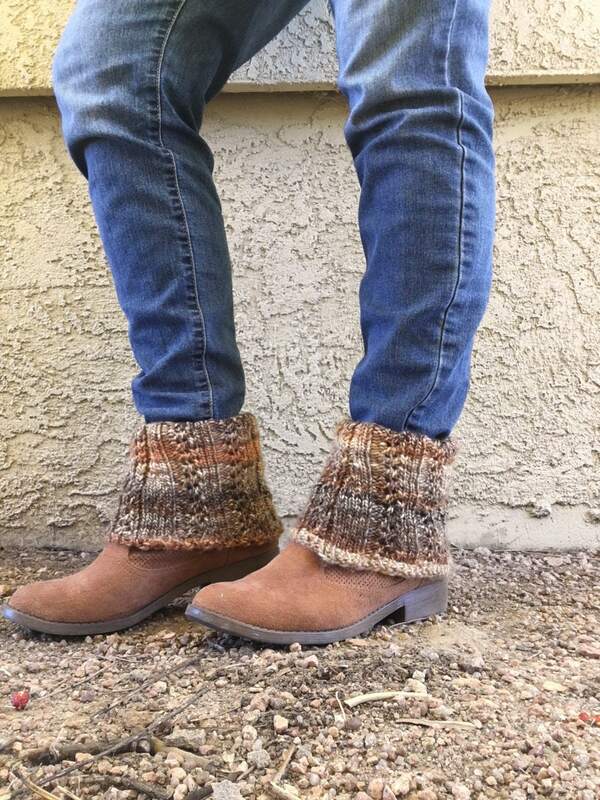 The cuffs are knit using the All N One loom and approximately 160 yards of a worsted weight yarn. 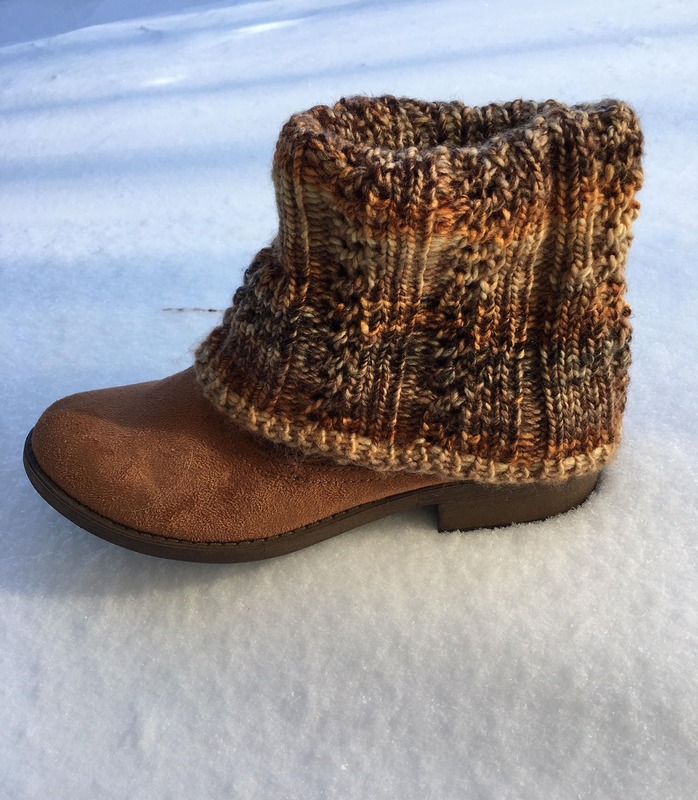 The pattern is written to fit an ankle boot that is about 16” in circumference where the bottom of the boot cuff rests and 12.5” at the opening at the top. The boot is 5” from the top of the heel to the leg opening. 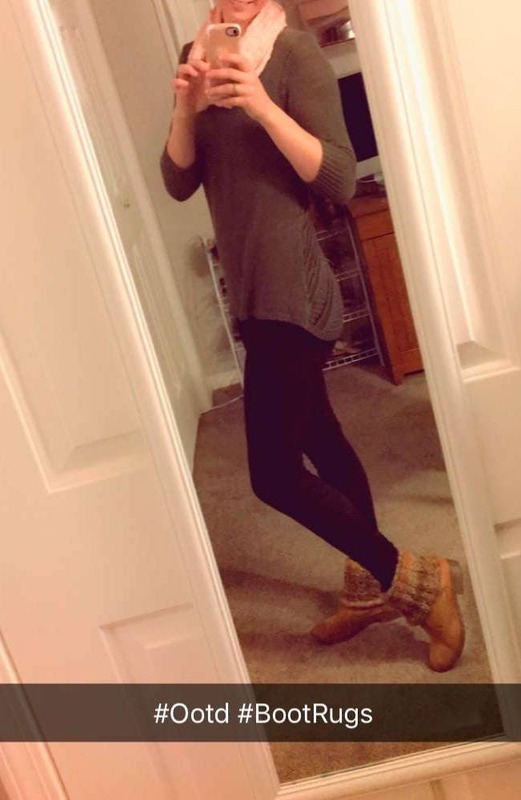 You can adjust the pattern to wear with taller boots (like Uggs mini or classic short boots). You can even knit the cuff even taller if you want more slouch in your cuff. The pattern is suitable for an intermediate loom knitter.